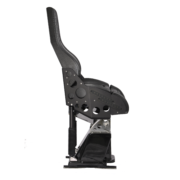 The Ullman bolster seats allow the operator to stand fully supported and protected from impacts and vibrations and interact with the seat. 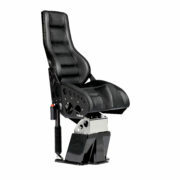 The bolster seats also allow the operator to sit back in a reclined position, while still maintaining the S-shape of the spine. To secure optimal protection in all positions, the Ullman bolster seats optimizes the different body postures for handling both static and dynamic loads. 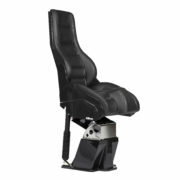 The line of bolster seats, containing Atlantic, Atlantic Crew and Arctic gives the users a superior suspension seat when it comes to performance, versatility and comfort. 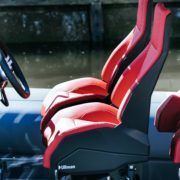 The seats are optimal for high speed boats where you need the possibility to alter your sitting position while also protecting the most valuable asset – the workforce.